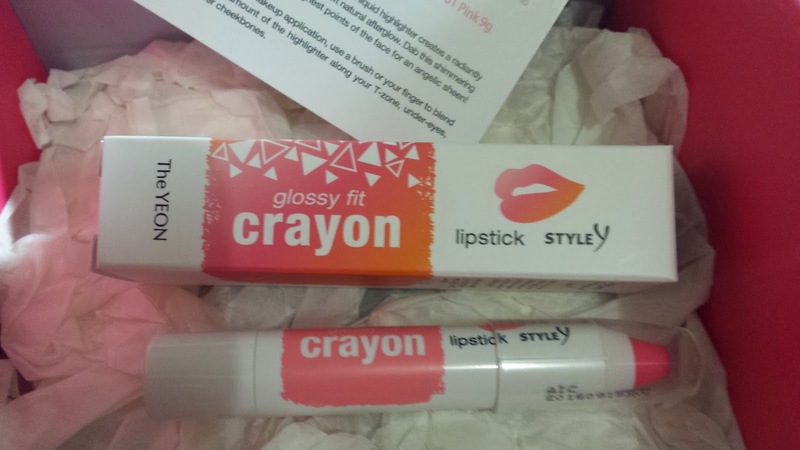 Really cute crayon lipstick, i got the strawberry one which you can use on your lips or your cheeks to blend. This costs US $11. 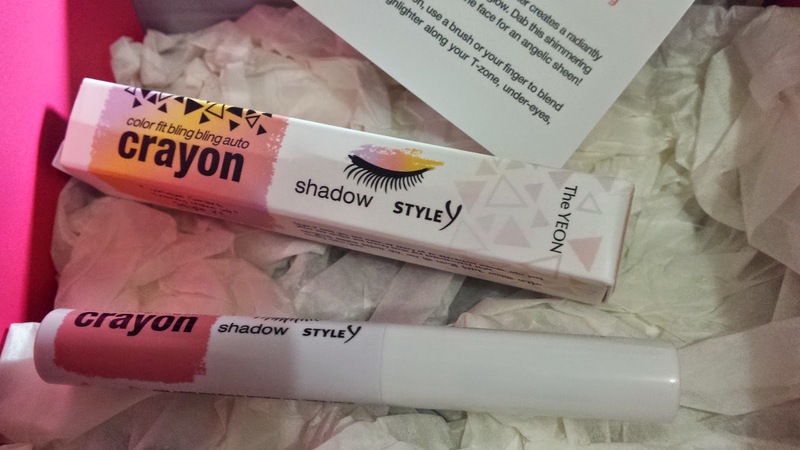 Smoothes on your eyelids to create a beautiful eye shadow colour for you. This crayon is all you need :) This sells for US $9. 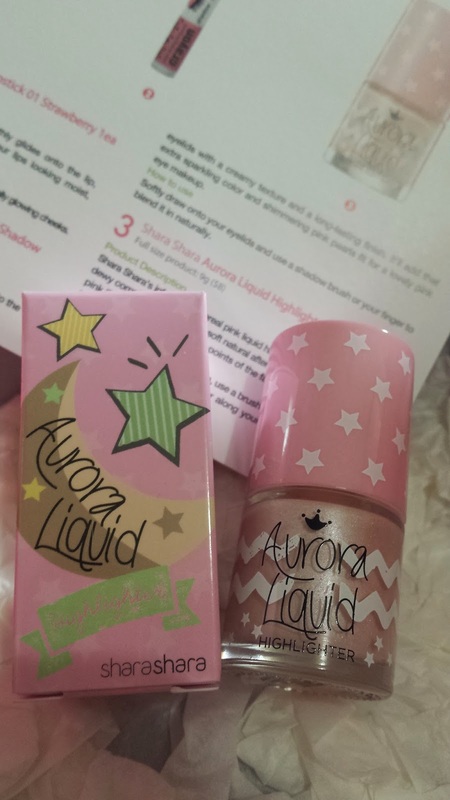 A pink highlighter to use after makeup application. Brush and blend a small amount on your T-zone, under eyes and over cheekbones to make your face shine and glow! This costs US $8. 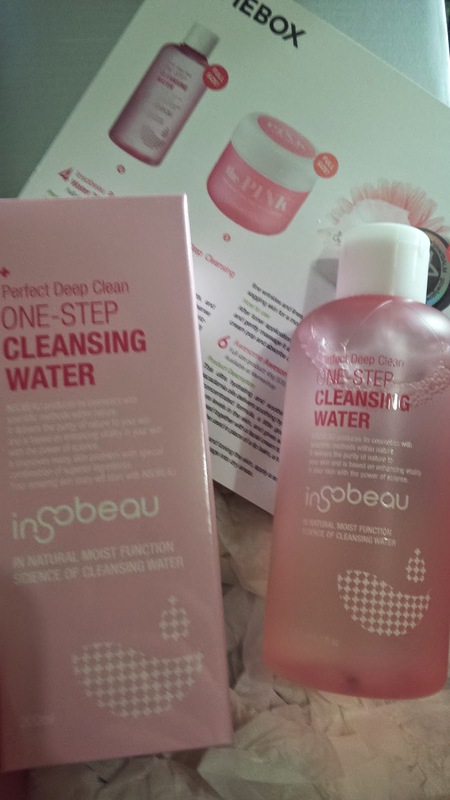 Nice to get something different, this bottle of cleansing water is in a pink bottle and fits the theme haha but most importantly you actually don't have to rinse off using this cleansing water. This sells for US $22. 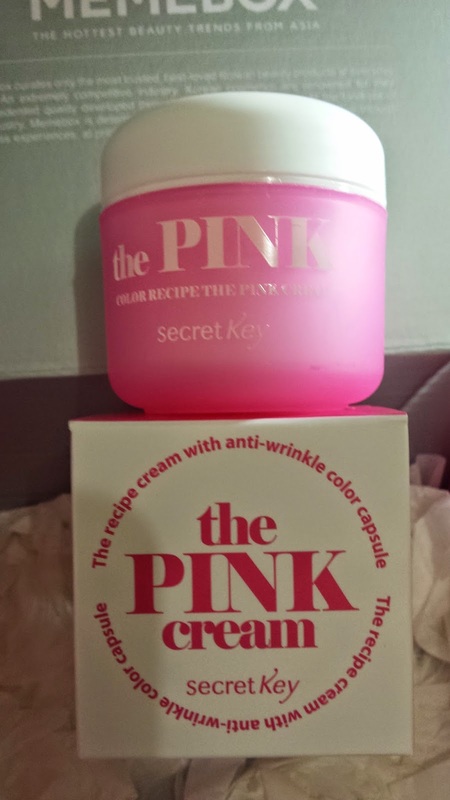 Uber cute pink cream :3 This sells for US $34 and helps you get a more youthful, healthier-looking complexion! 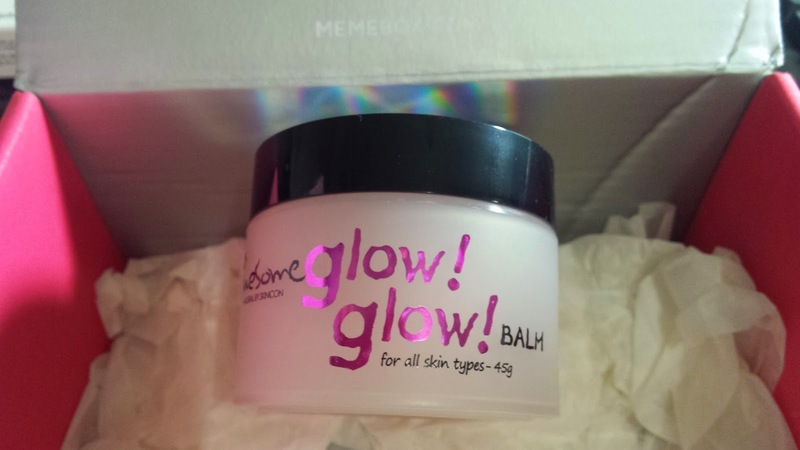 This pink balm is an ultra hydrating balm is perfect for my skin after i tone it ^_^ I especially like this texture as it feel really hydrating. This sells for US $35. A very decent box that stays true to the theme. 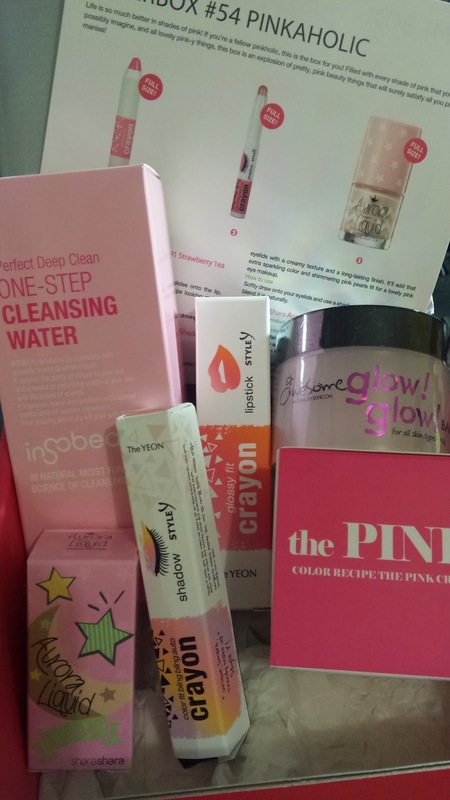 Quite like all the products here, but just wish there was more of it!